The unofficial sibling to Fandible over in the UK! 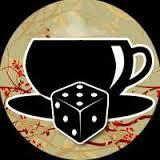 The Cult of Tea and Dice features British reviewers drinking tea, playing RPG’s, and assaulting your earholes with their British opinions on things related to gaming and the sweet nectar of life that is Tea. Fandible is a fan of the Redacted Files Podcast! If you’re looking for suspense and adventure rolled up into some great roleplaying, you cannot go wrong here! The Redacted Files is an Actual Play podcast focused on having fun playing many different systems. They release new episodes every Sunday! The one. The only. The legendary. If you are looking for a website where you can see the love of gaming, look no further! This website is here to unite all gamers regardless if they’re into roleplaying, card games, board games, or whatever! If you have nerd cred, this is the place you can spend it! If you are looking for a podcast that tugs at your childhood then Fandible has a recommendation for you! 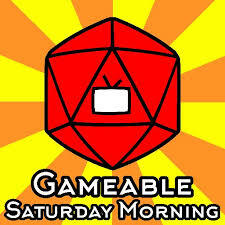 Gameable Podcast deconstructs Disney, Pixar, and other childhood features and explores how they would be handled if they were roleplaying games! From the group that brings you AcadeCon, RPG Academy is a wonderful place to find podcasts, articles, and a community on gaming. 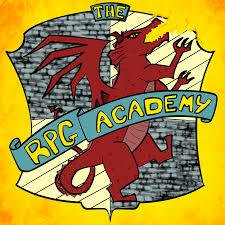 Fandible is very proud to put our stamp of approval with the RPG Academy and encourages everyone to check them out! You’ll be hard pressed to find a more popular actual play podcast network than this one! Highly energetic, highly motivated, and highly dedicated to bringing you top-notch roleplaying. 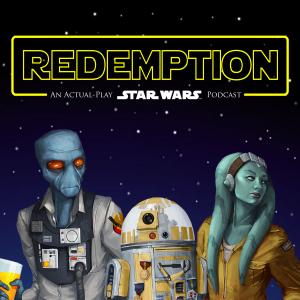 They have several podcasts but we HIGHLY recommend you check out their Star Wars adventure! 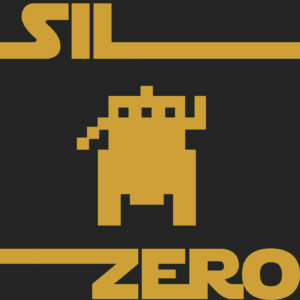 SILHOUETTE ZERO is an actual play podcast for Fantasy Flight Games’ Edge of the Empire, produced by the Ing Brothers. If you’re looking for big-time adventures (starring small but big-hearted adventurers), this podcast is the one for you! Before the Empire, there was the Clone Wars. And this actual play podcast takes place during then! Follow the crew of The Krallet’s Fang as they help the Republic, help themselves, and help the galaxy through swashbuckling adventures! 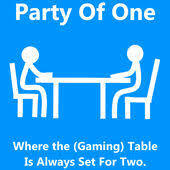 Party of One is an Actual Play RPG podcast exploring the world of 2-player RPGs. Jeff Stormer is our intrepid GM, and every week he sits down with a guest for a game. If you’re looking for roleplaying games with only two sitting at the gaming table, this is exactly what you’re looking for! I’m embarrassed it took so long for us to add this wonderful Actual Play Podcast to our list! The Broadswords are a talented group of ladies who are sharing their Dungeons and Dragons 5E adventure with the public! Give their podcast a listen and prepare to laugh, gasp, and perhaps cry as they take on the forces of… uh… everyone?